Notice anything wrong with this picture? 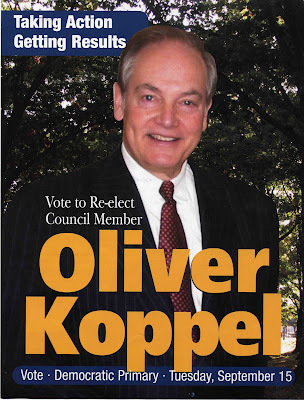 It is the cover of City Council incumbent Oliver Koppell's (oops, just gave away the answer) glossy new campaign pamphlet that hit District 11 households this week. Ding, ding, ding. You guessed correctly: it's Koppell, not Koppel. We all make mistakes, including, believe it or not, this blog and the newspapers of the Bronx News Network, but Koppell must wish he took a look at this before he sent it out. It's an otherwise beautiful looking mailer trumpeting all of the two-term Riverdalian's accomplishments as a city lawmaker. Too bad this is the first thing everyone will see. (It's spelled correctly several other times in the four-page pamphlet. He's probably not the only one dealing with spelling issues. I'm sure his opponent's campaign has its own trouble. Remember, it's Anthony Cassino, not Casino. The September primary is less than a month away (September 15) and, in tough races (which Cassino-Koppell might end up being), mistakes can prove costly. We'll see. Check back here for more campaign coverage as the competitive Bronx races heat up. Leave off the last l for savings!!! LOl...Well NWB Democrats...who solidly support Councilman Koppell was just as surprised as the error. All praise goes to the daily campaign team of: Arthur Heller, jason Jerimah , Raffi @ other staff. Feel free to reach them....LIKE THE BANNER SAYS ON TOP-WE CAN USE THE HELP. They do work 654 hours a day you know! 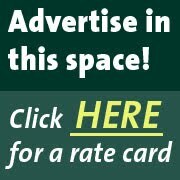 Of course NWB Democrats will do what they do best-hold the 78th and 80th Assembly Districts strong-and of course, help The Ben Franklin Club in the 81st-if they need a hand (But according to Assemblyman Dinowitz-"He has it covered'. Leave off the last "L" for loser! Anthony: Actually, Koppell may be one of the only words you've ever spelled correctly - your site is full of errors! Obviously the Daily News version. Nice foto.